The Stretch film manufactured and supplied by us provides new age Returnable Logistic solution. It stabilizes cartons and ensures pallet loads are kept together. It is tear resistant and holds pallet loads upto 1000kg without slipping. All of our hand stretch film dimensions (thickness, width and length) are guaranteed. They can also be customized as per the requirements of the customer. 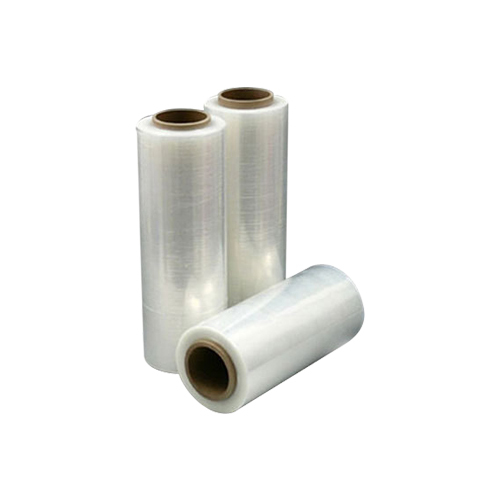 Stretch Film is used for Utilization of Load. We produce Stretch Film in our state of Art production line. The film comes in 23 micron to 29 micron film. Our highly trained and skilled engineers analyses a client’s exact requirement that includes load conditions, support conditions, handling conditions, storage issues and more to determine the right pallet so that it can be customized according to the customer’s exact need.